Children prescribed courses of antibiotics were found to have twice the risk of developing juvenile arthritis than children who did not receive antibiotics, according to the findings of a new study. The study, published in Pediatrics, also found that the more antibiotics the children were prescribed, the greater their risk of juvenile arthritis developing. It is believed that around half of antibiotics courses prescribed to children for acute respiratory infections are unnecessary, giving more significance to the researchers' findings. 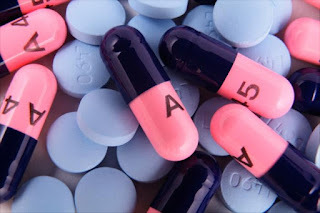 antibiotic overuse for infections that would otherwise get better on their own," says lead author Daniel Horton, a postdoctoral research fellow in the Department of Pediatrics at Rutgers Robert Wood Johnson Medical School in New Brunswick, NJ. Arthritis is typically associated with older adults, but around 294,000 American children under the age of 18 are believed to have arthritis or other rheumatic conditions. inflammation in the joints leading to pain, stiffness, mobility problems and, in some cases, loss of vision. quarter of juvenile arthritis cases through genetics, indicating that environmental factors may contribute to the risk of developing the disease. In particular, recent studies have shed light on a link between childhood antibiotic use, microbiome disturbance and the onset of autoimmune diseases. According to Dr. Horton, "antibiotics are one of the better- known disruptors of human microbial communities." contribute toward the development of inflammatory bowel disease and rheumatoid arthritis in adults. diagnosed with juvenile arthritis and age- and gender-matched control subjects. previous cases of infection, the researchers found that antibiotic prescription was associated with an increased risk of juvenile arthritis. tract infections. As no link was found between arthritis and antiviral and antifungal drugs, the researchers were able to link the increase in risk specifically to antibiotics. serious and potentially crippling disease," states senior author Brian Strom. "If confirmed, it also provides a means for preventing it." immune system is less able to defend the body against them. "Under this hypothesis, antibiotics would be a marker for abnormal immunity rather than a direct cause of arthritis," he explains. "A majority of children get antibiotics, but only about 1 in 1,000 get arthritis. So even if antibiotics do contribute to the development of arthritis, it's clearly not the only factor." and, therefore, further research into this area is warranted. arthritis that showed promise while minimizing side effects.